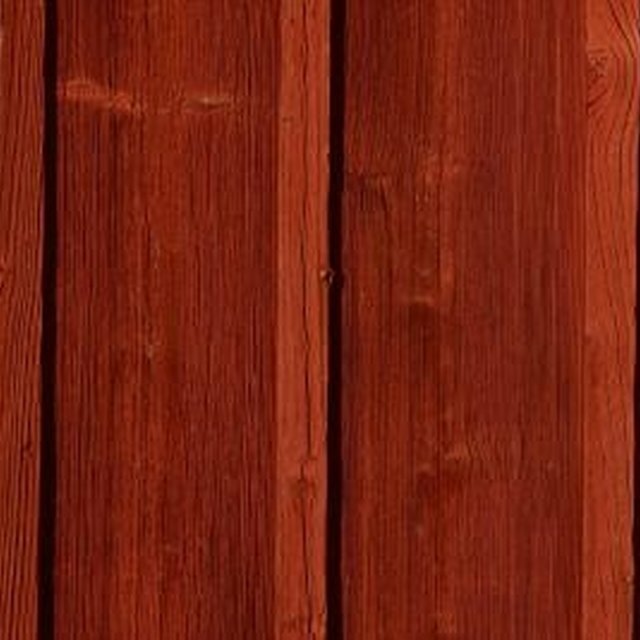 Why Is Cedar Good for Closets? How Can I Refresh My Cedar Closet? If you installed a cedar closet or were fortunate enough to rent or buy a home with an existing one, then you appreciate the benefits it offers. Cedar closets keep your clothes smelling fresh while prevent moths from damaging them. Unfortunately, that fresh cedar smell can dissipate over time, but it is possible to refresh you cedar closet. The easiest way to refresh your cedar closet is to purchase a can of cedar oil. First, clear all clothing and other items from the closet. Vacuum all the surfaces of the wall to remove dust. Don't wipe cedar wood with a damp cloth, which can stain the wood by raising the grain. Use a rag to apply the cedar oil evenly across all cedar surfaces in the closet. It is also available in a spray form for easier application. Allow the oil to soak in. Air out the closet before moving your belongings back in. If you don't have the time to clear your closet out and apply the oil, a temporary fix is to purchase cedar sachets or scent balls and place them throughout the closet. They have a limited shelf life, so you will have to replenish them or try another refreshing strategy within a few months. A longer-lasting strategy for refreshing your cedar closet is to lightly sand all the surfaces. This requires moving all of your belongings from the closet and vacuuming the walls to remove dust. Protect the floor with a plastic sheet. Next, using an orbital sander with medium-grit sandpaper (between 80 and 120 grit), lightly sand all of the cedar surfaces in the closet. Use overlapping strokes in a side-to-side motion. When you have finished, vacuum the surfaces again and then remove fine dust particles with a tack cloth. The sanding process opens up the pores in the cedar, releasing that aromatic scent like a new cedar closet. You can only sand your cedar closet so many times, and you may tire of reapplying cedar oil. If your cedar closet is especially old, it might be time to start over with new cedar planks. This is an extreme solution and a project for someone experienced with do-it-yourself projects or a carpenter. Rather than replace all the wall planks, you can add cedar lining to some parts of the closet. You can buy cedar lining in small planks, which you can use for shelving or to line drawers. Even these small additions can revive your cedar closet and boost its moth-repelling abilities. Dorian Gray has been a full-time freelance writer since 2009. She has written extensively on the topics of architecture and design for national magazines such as "Architectural Record" and regional publications such as "At Home in Arkansas." Gray also writes about the topics of beauty, health, nutrition and travel. She holds a Bachelor of Architecture from the University of Arkansas. How Should Items Be Packaged to Put in a Cedar Chest?